Hiring a chief operating officer (COO) can be a daunting task for any business. Much of the operations lean on their shoulders, and you need to have consummate trust in their abilities. You want someone who is professional, yet in touch with your customers as well as your employees. It can be overwhelming to choose. Whether you are scanning the global market or looking locally for a COO, there are some innate traits that go into ensuring you hire the best. Although the costs of a bad hire are sometimes difficult to quantify, they are definitely hard to ignore in terms of staff morale, productivity, and ultimately, financial losses. Below, leading members of Young Entrepreneur Council give some insight into what makes for a great COO, whether it’s experience, attention to detail, integrity or other essential traits. 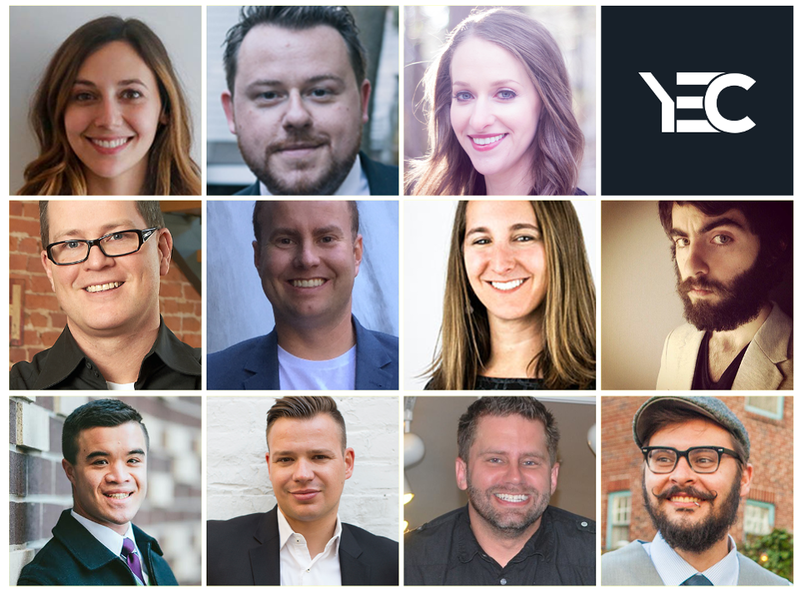 Members of Young Entrepreneur Council share the top things every founder should look for in a COO. Your customers and clients may be experiencing more stress these days, giving your small business an opportunity to cater to their wellness needs. Stress has always been a driving force in the wellness industry, but we seem to have moved past just personal stress to a collective, politically-induced stress. No longer are people simply seeking to remedy relationship or financial troubles; stress about politics and the security of the future is becoming more and more common. As a business consultant for wellness practices and the owner of two massage studios in New York City, I have seen this trend unfold firsthand. Like many, I was exhausted by last year’s tumultuous election, so imagine my surprise when I learned that it was actually great for business. I first noticed an uptick in client bookings in the fall of 2016 and my sessions — which are typically pretty quiet — became more lively as clients voiced their worries and concerns about politics. Stress and anxiety commonly manifest themselves in physical ailments like muscle tension, TMJ (jaw tension from teeth clenching), headaches, insomnia and fatigue, which are problems we treat frequently. I had a feeling that trying to deduce electoral math and being glued to Facebook, cable news and Twitter were physically impacting my clients and the demand for my business. The numbers proved me right: We saw a 20% increase in new clients in Q4 of last year and in the week after the inauguration, we saw an additional 50% surge in bookings — and there’s no sign of it slowing down. The demand has been so high that we’re adding additional employees to our roster. At the same time, I saw a growing trend in the corporate world as blue chip companies like Aetna and Facebook adopted progressive workplace wellness programs, and media mogul Arianna Huffington launched Thrive Global, a wellness company dedicated to helping companies and employees reduce burnout. At a time when people were dealing with a new kind of post-election stress, I felt wellness was reaching an audience that hadn’t previously been tuned in. Just because your business is small, that doesn’t mean you can’t work with a large company or corporation. Small businesses can reach new audiences and build partnerships by offering services to large companies and coordinating office wellness events. We have partnered with Red Bull, WeWork and Whole Foods to offer chair massages to employees for on-site stress relief. Companies are interested in the benefits of having wellness services at work, which can keep insurance costs down and boost employee productivity. With just a few practitioners, your business can reach a new customer base that wouldn’t otherwise discover your practice. When approaching a new partner, make sure to tailor your approach and market the specific benefits that they can expect from working with you. At a time when customers are becoming savvier in the wellness space, it’s important to diversify your services. Consider including massage, reflexology, acupuncture, aromatherapy, reiki and alternative wellness treatments. Before seeking new talent, look at the expertise you already have in house: Many practitioners are trained in multiple disciplines but don’t always promote all of their areas of expertise. This is imperative. For small businesses to stand out in the wellness space, it’s critical to hire excellent staff members who can provide high-quality care. This is important for all service-based industries, but even more so for practitioners who have close relationships with their clients. This is the easiest way to keep retention rates up and your clients coming back. To make sure that your guests are getting the most out of their experience, consider using client feedback software or post-treatment surveys. A great practitioner will have a consistently high client retention rate. One of the biggest challenges small businesses will face as they grow in the wellness space is maintaining consistency and a high caliber of customer service. Our clients know exactly what to expect from each visit, so we are confident they will want to return. Having a clear manual of operations goes a long way in helping keep things running smoothly, and I always encourage clients to speak up if they are unhappy with their service. When your goal is to help your clients cope with pain and stress, I encourage my team to aim to exceed a client’s expectations. Just because you provide excellent service, that doesn’t mean their ailment will vanish, so we provide clients with additional information and therapy for self-care at home. I’ll frequently recommend specific stretches or strengthening exercises that become integral to a client’s daily routine. We also collaborate with other practitioners, such as acupuncturists, chiropractors, physical therapists and pilates instructors. It’s important to create an atmosphere where practitioners feel like they can and should go the extra mile for their clients. Though there is uncertainty about the future, it appears that the trend toward wellness is here to stay. As much as we would love to, (me especially) no one can do it all by themselves. Reaching out to mentors, teachers, and guides over the years made a huge difference for me at important times in my career and in moments of transition. I've sought out people who can walk me through growing pains, who can be a sounding board for ideas, and who I can turn to for support and advice. They are my unofficial "Board of Advisors" and though they have no financial interest in my company, I will often take them out for coffee or lunch and ask them about specific work questions and concerns. We talk about everything ranging from which credit card processor to use and what to do when you want to start a maternity leave plan, or tough subjects like dealing with a difficult client or landlord. My recommendation is to fill your "Board" with a variety of different people and try to stick to people working successfully both within your industry and outside of it. Choose people who inspire you: knowing that they are on your team will help encourage you and give you the confidence to take more risks. PS. If you need someone by your side, I'd love to join! Start giving your gift *now*. Not when you have more money. Not when you're more famous. Not when you have a "platform." Not when you have the perfect job. Not when you have a degree in it. Not when you lose the weight or look hot. Not when you've "healed." Not when you've taken the next workshop or training. Not when you've quit that thing you're addicted to for good. Not when your parents finally understand you, accept you unconditionally, and approve of your self-expression fully. Not when you've "discovered your purpose." Start giving your gift now. Not when you've "discovered your gift." You already know what it is. If it is connecting people, then start connecting people, now. If it is loving people unconditionally, then start loving people unconditionally, now. If it is cooking for people, then start cooking for people, now. If it is sharing your insights via writing, then start sharing your insights, now. If it is entertaining people with your singing, or your humor, or your acting, then start entertaining people, now. In your kitchen. In your friends' kitchens. If it is helping people get through difficult times, then start helping people through difficult times, now. If it is getting people more grounded in their bodies, then get people more grounded in their bodies, now. If it is making people feel worthy, accepted, and loved, then make them feel worthy, accepted, and loved. At work. On the street. In the park. The idea that you can start giving your gift "when something" is an illusion. The "when something" you are dreaming about will come, if it comes, when you start giving your gift. Now. And it it doesn't come, that's fine too. Because you'll be giving your gift. And that is the greatest gift. And if you really do need something in return, I'll just say, usually, great things, surprising things, come when you start giving your gift with no expectation of return. But rather, surprised at how held you are, how appreciated you are, how supported you are, and how good it feels, all in ways you never expected, with people you never expected, once you start giving your gift freely and unapologetically, with no expectation of return. Rachel Beider is the head consultant at Wellness Business Consulting, est 2014. As a successful small business owner of a wellness practice, Rachel saw a growing need within the community for strategic business advise and planning. Being a business owner or running an independent practice can feel very isolating and often overwhelming. Clients come to her for guidance on starting, managing, or growing their practices. Rachel's 2015 client list includes a busy Yoga Studio in Brooklyn, a Luxury Spa in Long Island City, a Beauty Salon in Greenpoint, a Clinical Psychology Practice in Williamsburg, a Skin Spa in Brooklyn, a Language Instructor in NYC, an Acupuncturist in Chelsea, a Child Advocacy Group in Sunset Park, and a Nutritional Counselor in the Lower East Side. Rachel's own practice, Massage Williamsburg, has seen over 11,000 individual massage clients in Brooklyn, and works with over 30 Licensed Massage Therapists. Aside from being a business consultant, Rachel is a licensed massage therapist, is a Board Member at Pacific College, empowers laboring women as a birth doula, and holds certifications in Prenatal Massage from Swedish Institute, Aromatherapy from NY Institute of Aromatherapy, and in Perfumery from Cinquieme Sens via Pratt.